For many years the Venezuelan Cuatro or Colombian Cuatro as it is also referred to have been confined to the northern areas of Latin American as well as several Caribbean islands. As the instrument had begun to expand its presence throughout the continent as well as being brought to North America and Europe by means of maintaining peoples cultural heritage, the Cuatro has made some extraordinary geographical advances. As this has been developing a rather unexpected turn of fate was in store for the instrument as it was adopted in a culturally rich nation in the Pacific 14,600 kilometers from it’s place of origin. Japan is known for many features such as their rich history, cuisine & architecture. An now can also be considered as the only Asian country which is truly starting to adopt the Cuatro. There are several entities involved in this new home for the Cuatro. Some specialize in Venezuelan Music such as the Estudiantina Komaba which plays ensembles of Venezuelan folklore music using instruments such as the Cuatro, bandola, arpa llanera and maracas. 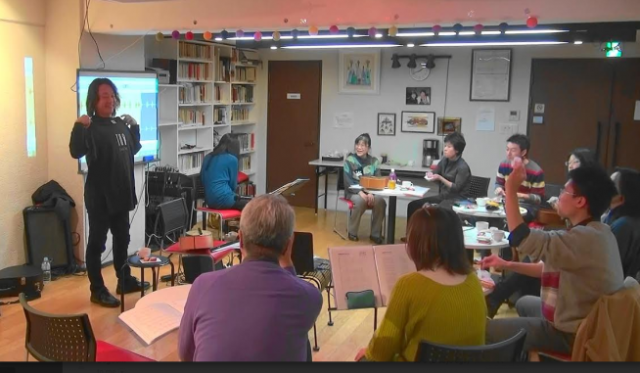 Others are very specific and focus their experiences and love for the Cuatro such as grand master luthier & cuatrista Yasuji D’Gucci (seen in the image below teaching a class). Professor D’Gucci is one individual driven by his passion for the instrument and is dedicated to the construction and teachings of the Cuatro in Japan. He provides Cuatro and Bandola lessons at a Latina American cultural center affiliated “Cafe Y Cuatros” and is a proud new member of TuCuatro. 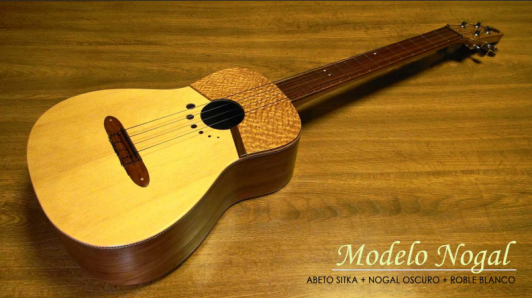 As a luthier, his works are of precision and excellence adding new dimensions to his works. His pride is the construction of his “Modelo Nogal” where he makes use of white oak wood, which emits a majestic smell (used popularly in the barrels of whisky for this fragrant quality). View more Cuatro models by Yasuji D’Gucci by clicking here. As a pioneer in the area of Japan and as being one of a kind, Yasuji is an example for anyone with passion who wishes to adopt a fine piece such as the Cuatro in lands far away from their origin. It goes to show that there are no limitations to what can be achieved, only possibilities.